Opt for the V-8 if you can afford the price premium. It actually gets better fuel economy than the V-6 and is more capable and refined. If you are looking for a truck-based SUV that can tow, the Ford Explorer is ahead of most of its rivals. 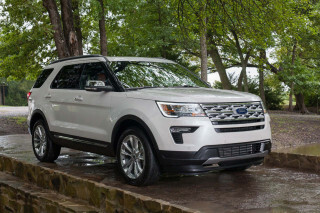 TheCarConnection.com has thoroughly studied what other professionals had to say about the Ford Explorer in order to write this inclusive review. 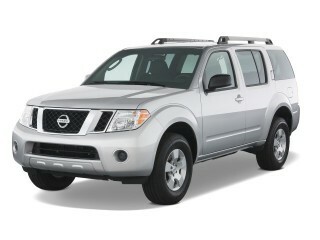 This review from TheCarConnection.com also includes firsthand descriptions from TheCarConnection.com’s editors and compares the 2009 Explorer with other SUVs to give you solid, unbiased advice even when other reviews present conflicting opinions. Back in the early 1990s, the Ford Explorer quickly became one of the most popular family vehicles. The current version of the Explorer, introduced in 2006, is the best one yet in terms of promising some truck-like towing and hauling ability while still also allowing comfortable and safe transport, but today there are better options for a roomy, versatile family vehicle. In the Ford lineup, the 2009 Ford Explorer is just below the Expedition and ahead of the Taurus X, Flex, Edge, and Escape in terms of exterior size and capabilities. 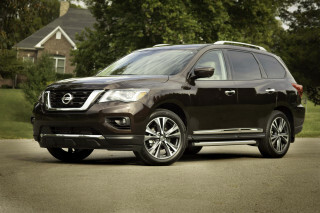 Technically a mid-size SUV, it is far from small and can be equipped to seat up to seven and tow up to an impressive 7,285 pounds. The standard drivetrain for the Ford Explorer is a 210-horsepower 4.0-liter V-6 matched with a five-speed automatic. There is an optional 292-horsepower 4.6-liter V-8 powerplant that comes with a six-speed automatic transmission. Both engines come with standard rear-wheel drive, and either can be mated with a choice of Ford's ControlTrac four-wheel drive or full-time all-wheel drive if you want extra traction. 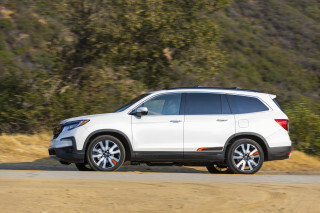 Editors from TheCarConnection.com find the V-6 engine noisier than the V-8, as the smaller engine has to work harder to keep the Explorer hustling along. Interestingly, the mpg numbers for the V-8 with the six-speed transmission are better than those of the V-6. That clean exterior shape certainly helps keep wind noise to a minimum. The AdvanceTrac (electronic stability control) system with roll stability control is standard. Performance in government crash tests is good. Ford brings the Explorer into the 2009 model year with the familiar base XLT, Eddie Bauer, and Limited trim levels. A XLT Sport package joins the lineup for the 2009 as well. New standard features include Trailer Sway control that works with the AdvanceTrac and Roll Stability control to keep trailers under control during towing. Also available is the next-generation voice-activated navigation system with Sirius Travel Link. People buy SUVs for their versatility and high seating position. The 2009 Ford Explorer delivers on both. The ride is smoother than that of other truck-based utes, and the independent rear suspension adds to its stability and responsive handling, but make no mistake—the Explorer is based on a truck platform and rides as such. If you want a more car-like ride, there are many crossovers to consider. Editors of TheCarConnection.com are impressed with the interior quality of the Ford Explorer. Feature-wise, the 2009 Ford Explorer offers just about anything a buyer might want in an SUV, including a rear-seat DVD entertainment system and a power-folding third-row seat (which increases the Explorer's seating capacity to seven). The 2009 Ford Explorer’s styling is friendly and inoffensive. The 2009 Ford Explorer’s five-door SUV styling is clean and uncluttered, while the interior is among the best Ford has ever produced. Noting that over 5.5 million Explorers have been sold, Car and Driver reports that Ford Explorers "are so ubiquitous—and so conservatively styled—that few of us even see them anymore" and likens the Ford Explorer 2009 to "the vehicular equivalent of a pair of khaki Dockers." All of the 2009 Ford Explorer's three trims, which Edmunds lists as "XLT, Eddie Bauer and Limited trim levels," feature largely similar external styling, with the only real variations being different-size wheels and "a chrome four-bar grille" on the XLT versus the "chrome three-bar grille" on the Eddie Bauer and Limited models, according to Cars.com. Kelley Blue Book says both grilles are "inspired by Ford's F-150 pickup," but overall "the 2009 Ford Explorer remains a very obvious descendant of the first Explorer that materialized some 17 years ago." The interiors of recent Ford Trucks have been the best the company has produced. Details like the trim rings around the gauges and the surprisingly well-designed interior door handle releases show that somebody at Ford is paying attention. Inside the Ford Explorer, 2009 brings an interior that scores well overall with reviewers. Kelley Blue Book notes that the all-around styling of the interior is "more angular" on this Ford Explorer 2009 than on previous models, which most reviewers appreciate. Other than those few gripes, the 2009 Ford Explorer wins praise from Edmunds for its "user-friendly layout" and "sharp two-tone color schemes" that "make this workaday SUV feel a little more upscale." The 2009 Ford Explorer doesn’t provide the frisky feel of some newer crossover SUVs, but it rides, handles, and tows better than most of its competitors. People buy SUVs for their versatility and their high seating position. The 2009 Ford Explorer delivers on both. The ride has improved over the years and the independent rear suspensions adds to its stability and responsive handling, but make no mistake—the Explorer is based on a truck platform and rides as such. If you want a more car-like ride, there are many crossovers to consider. Pairing up with the available engines are two transmissions on the Ford Explorer 2009 lineup, one for each engine type. Edmunds says "a five-speed automatic transmission is standard with the V-6 engine," while "the V-8 comes matched to a six-speed automatic" and "either engine can be equipped with a choice of two-wheel-drive or a four-wheel-drive system." Reviews of the transmissions are much more positive than those of the engine performance, as ConsumerGuide notes that six-speed "changes gears smoothly and delivers quick part-throttle downshifts for fine around-town response." Car and Driver adds "the six-speed is a godsend during passing maneuvers and on long uphill slogs, where, with a little practice, you can elicit a single-gear kickdown." Two underhood options are available on the 2009 Ford Explorer: a "revised 4.0-liter V6 engine" that Kelley Blue Book says makes "210 horsepower" and "254 lb.-ft. of torque," while those in need of more power can turn to a "4.6-liter V8 engine with 292 hp and 300 lb-ft of torque," according to Edmunds. Reviews read by TheCarConnection.com show that neither engine is particularly impressive in terms of acceleration, with ForbesAutos describing the V-6 as "barely adequate." Edmunds calls the engine performance on the Ford Explorer "mediocre" and says the engines are "weak" when "compared to competing SUVs," thanks in part to the fact that "a 4WD Explorer equipped with the V-8 takes a mediocre 9 seconds to reach 60 mph." The five-speed automatic that pairs with the V-6 helps the Ford Explorer "tow up to 5,395 pounds," according to Cars.com, which is nearly 2,000 pounds less than the V-8 but impressive nonetheless. Motor Trend notes that "properly equipped Explorers achieve a maximum tow rating of 7,285 pounds," which Edmunds calls a "healthy tow rating" and ForbesAutos says is "sufficient for pulling a boat or trailer of moderate size." Editors from TheCarConnection.com note that the V-6 engine is noisier than the V-8, as it has to work harder to keep the Explorer hustling along. As expected, mileage isn't anything to crow about, and TheCarConnection.com editors experienced lower mileage with the V-6 than with the V-8. 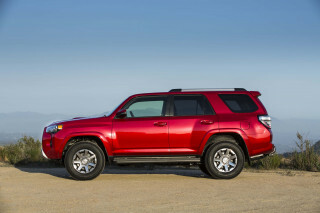 The EPA estimates that 2WD Explorers return 14 mpg city and 20 mpg highway with the V-6, and 13/20 mpg with the V-8, while both engines offer 13 mpg city and 19 mpg highway in 4WD mode. 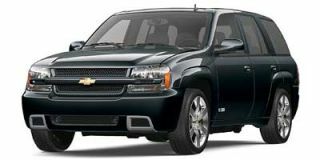 During their test period, ConsumerGuide reviewers find that "a 2WD V-8 Limited averaged 15.1 mpg, with 4WD, 15.0 mpg." 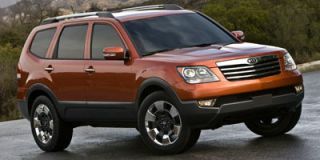 Traditional truck-based SUVs, such as the Ford Explorer, are not typically praised for their handling, but the Ford Explorer 2009 lineup manages to impress reviewers with both its ride and steering. While ConsumerGuide finds that there is "some body lean in turns and delayed reaction in quick directional changes," overall the "steering feel is responsive and accurate." Kelley Blue Book adds "the 2009 Ford Explorer is noticeably smoother and more stable out on the highway than past versions." Edmunds characterizes the performance of the 2009 Ford Explorer as "a relative joy to drive compared to other truck-based SUVS" and further notes "the brakes inspire confidence through a firm and progressive pedal." 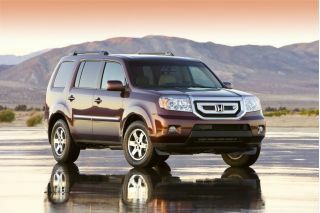 The 2009 Ford Explorer offers one of the most comfortable, quietest rides in a truck-based SUV. Thanks to its boxy body style, the 2009 Ford Explorer affords an impressive interior overall, while tight construction places the Explorer among the quietest vehicles in its class. The Explorer’s ride is also more buttoned-down than most truck-based SUVs, which tend to be choppy on anything but smooth roads. 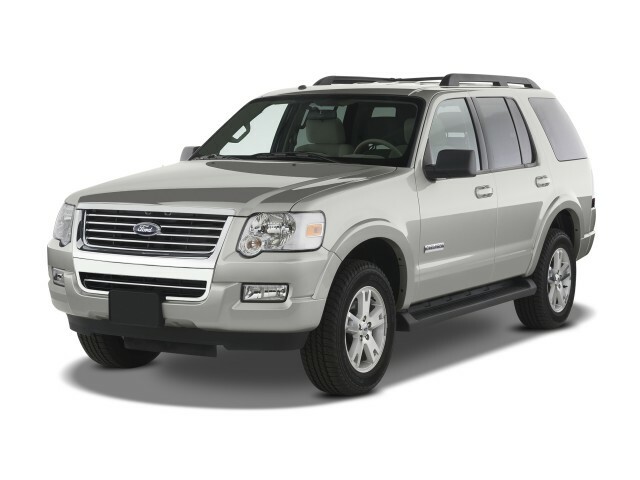 Regarding the 2009 Ford Explorer, Edmunds states that "the XLT seats five" and the "top-line Explorer Limited" adds "a manually folding third-row seat (for seven-passenger capacity)," while ConsumerGuide says that the front of the Ford Explorer 2009 offers "plenty of room on comfortable seats." In the back, Kelley Blue Book finds that "the second row is available in three seating configurations and the third row offers a power folding feature." Passenger space for those in the rear seats is pretty good, and Edmunds contends that "it's feasible to carry two adults in the third-row seats," while extra space is available on the Limited models, thanks to "the 'quad seating' option" that they say "drops passenger capacity to six and places reclining captain's chairs in the second row with a storage console between them." With the standard bench seat in place in the second row of the Ford Explorer, ConsumerGuide notes that "three adults can squeeze across in the roomy 2nd row," and "legroom is tight only with the front seats fully aft." The large interior dimensions of the Ford Explorer 2009 models help with more than just passenger room, as they also allow for generous cargo space, at least in the rear. 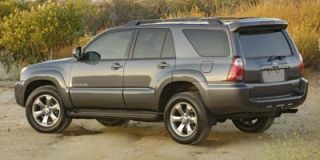 ConsumerGuide rates the 2009 Ford Explorer above the class average in terms of cargo room, writing "second- and 3rd-row seats fold nearly flat for ample cargo room, but leave gaps large enough for smaller items to fall through." On the plus side, they add "the optional power folding 3rd row is a real convenience." In terms of hard cargo numbers, Edmunds says "seven-passenger Ford Explorers max out at 83.7 cubic feet of cargo space, while five-passenger versions offer 85.8 cubic feet." Cars.com, however, finds that "an overhead storage console" bumps up available storage space, but otherwise, ConsumerGuide notes "interior storage is meager." Interior materials quality on the Ford Explorer 2009 receives mixed reviews. While Edmunds contends that "the Explorer's materials quality remains mediocre," other reviewers, such as those at ConsumerGuide, assert that the "interior materials feel solid." One area where the reviewers all agree on is the excellence of the 2009 Ford Explorer's build quality. ConsumerGuide says "assembly quality has been good on all models" that they've tested. ConsumerGuide, though, also points out "the transmission shift lever prevents easy access to climate controls" and the "turn signal stalk is mounted at an awkward angle." One of the benefits of solid build quality is sound suppression, and reviewers unanimously agree that the 2009 Ford Explorer stands out as a quiet ride. Car and Driver counts the 2009 Ford Explorer as "among the quietest body-on-frame SUVs extant," and Kelley Blue Book says that it makes "for easy conversation between occupants in separate rows." ConsumerGuide adds that the Ford Explorer is "among the quieter SUVs of any type," noting "wind and road noise are well-muffled," as is "noise over bumps." The 2009 Ford Explorer might have a truck-based layout that’s no longer in favor, but Ford has done a good job keeping its safety features up to snuff. No matter where you turn for information on the safety credentials of the 2009 Ford Explorer, one thing is clear: Ford engineers have made safety a priority on the Ford Explorer. The 2009 Ford Explorer has been tested by both crash-test authorities in the United States, and the results are impressive. The National Highway Traffic Safety Administration (NHTSA) subjected the Ford Explorer 2009 to its full range of crash tests and awarded it a perfect five-star rating for both driver and passenger protection during front impacts, as well as five stars for side impact protection on both sides of the vehicle. The 2009 Ford Explorer also scores well with the Insurance Institute for Highway Safety (IIHS), which awards its highest rating, "good," for frontal offset impact protection. The IIHS also bestows its second-highest rating, "acceptable," for side impact protection. Motor Trend observes that "not all of the Ford Explorer's competitors can match the SUV's five-star front and side crash test ratings." Edmunds states that "all major safety equipment is standard on the 2009 Ford Explorer," and that standard equipment list is quite long. ForbesAutos reviewers are pleased to find that "Ford's AdvanceTrac stability control system with Roll Stability Control is standard," and they note the system "provides added road-holding abilities, especially around sharp curves." Cars.com adds that "seat-mounted side-impact airbags, a tire pressure monitoring system and a five-level front-passenger sensing system" are all included, and "a 4-inch-thick foam block installed between the exterior and interior front-door panels helps manage side-impact forces on occupants' hips." One safety aspect that shouldn't be ignored but is sometimes forgotten by automotive reviewers is driver visibility. On the Ford Explorer 2009, ConsumerGuide warns that "outward visibility is hindered some by thick roof pillars, but the 2nd- and 3rd-row headrests fold to reduce obstruction." While the 2009 Ford Explorer doesn't offer a rear-facing camera, Motor Trend notes it does have an optional "reverse sensing system" that should aid drivers during parking lot and towing maneuvers. The 2009 Ford Explorer has way more high-tech features than you'd expect from a design that's no longer the pinnacle of soccer-mom transportation. The features list on the 2009 Ford Explorer, both standard and optional, is enough to put a smile on just about any driver's face. The Ford Explorer is packed full of brag-worthy features both inside and out. New for 2009 is the next-generation voice-activated Navigation system with Sirius Travel Link. The standard features on the 2009 Ford Explorer are numerous. The base-trim XLT offers "cruise control, air-conditioning, a CD/MP3 stereo with an auxiliary input jack and full power accessories," according to Edmunds, while "Eddie Bauer models provide two-tone paint, 17-inch alloy wheels," plus "heated front seats [and] Ford SYNC connectivity." The SYNC feature is also standard on Ford Explorer Limited trims, and it receives generous praise in reviews read by TheCarConnection.com. ForbesAutos reports, "SYNC makes it possible to operate multiple devices, from cell phone to an iPod, on a hands-free basis." In the Limited trim, Cars.com declares, "heated front seats, a power passenger seat, dual-zone automatic temperature control and a six-CD player with MP3 capability are standard." Beginning with the less exciting options, Edmunds says that "rear-seat climate control and upgraded stereo" are available on the XLT and Eddie Bauer trims. More noteworthy is the available "rear DVD entertainment system," which ForbesAutos predicts will keep passengers entertained on long drives in the Ford Explorer 2009, and ConsumerGuide adds a "navigation system" that "includes Audiophile AM/FM radio w/in-dash 6-disc CD/MP3 changer" is available to help you reach your destination. ConsumerGuide also reports that an available Sun and Sirius package will bring a "power sunroof [and] satellite radio" to the Ford Explorer. Looking for a different year of the Ford Explorer?